Operates with multiple serial ports simultaneously! Fully configurable data filters, to get data you want from the input strings. Create charts and graphs in your applications that automatically update with data from your serial devices / instruments. Input real time data into Excel, Access, statistical software ... any Windows application. Automatic Date and Time stamping. Send any ASCII character(s) to serial devices / instruments (communicate with, configure, and transfer data with your serial device without writing any code). No hardware additions required! No programming required. Send commands and control any serial RS232 device connected to serial ports. Log data received through a serial port by converting the data to keystrokes. Programmable VBScript/Jscript filters (parsing and filtering more complex data structures). 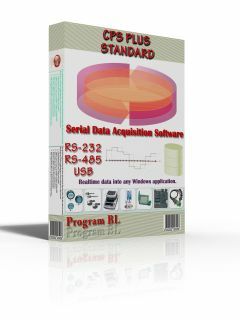 Advanced data filters configurable for each serial port.